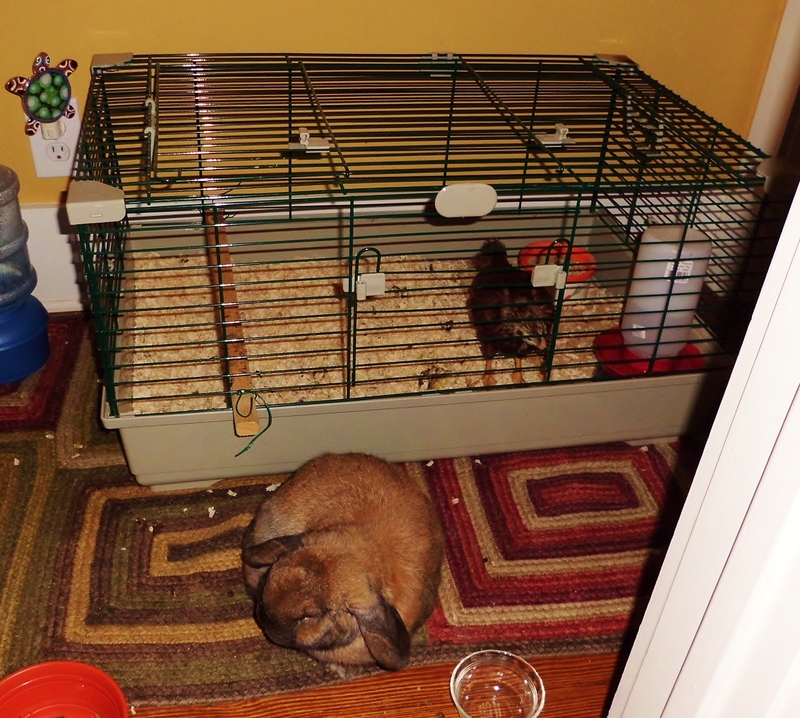 Buster sleeps next to Scarlett’s cage all night and he remains at his post when we wake up in the morning. Good Morning Buster! How did you sleep? After feeding the kitties and bunny and getting the coffee for the humans I let Miss Scarlett explore her “Tara”. She spends about twenty minutes “free-ranging” and then she goes back in her little chicken “coop”.